As groomers we have used and heard the old saying “Humanity Before Vanity” many times, but as pet owners this may be new to you. We generally pull out this wee pearl if wisdom when it comes to dematting dogs. Lets say your groomer wants to shave your dogs coat right down because its too matted and it’ll hurt to brush it out. 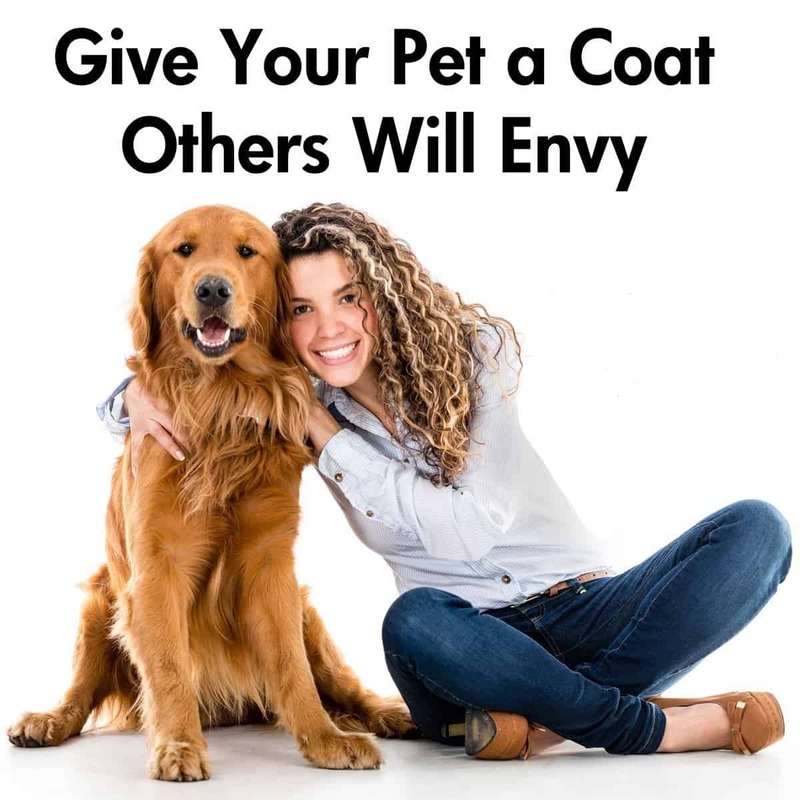 Perhaps you want to try and demat your dog for esthetic reasons or it’s cold outside, and you want your dog to have enough hair to stay warm. What would you choose, Vanity or Humanity. Lets look at the options. Is it better to shave or de-matt your dog? 1) how much of your dogs body has matted fur on it? 2) how close (and tight) are the mats to your dogs skin? 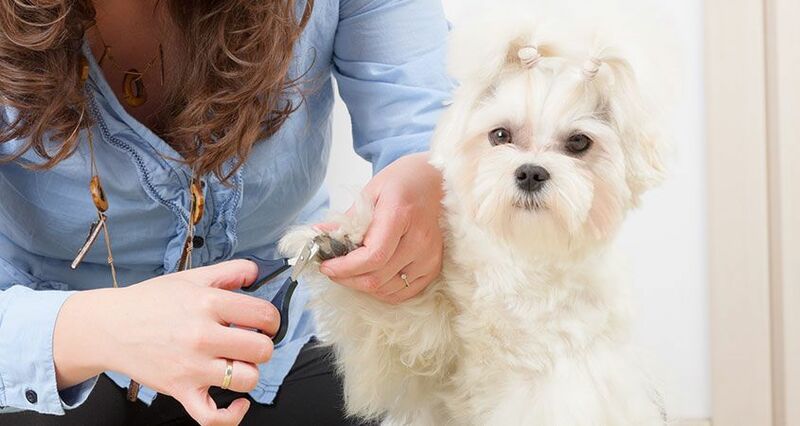 A skilled groomer can run their hands over your dogs coat, and determine these things by feel alone. You can do this too, with the help of a metal toothed comb. First, know where to look. Areas of friction will start to mat first, so where their ears rub against her head, armpits, where they chew their feet, and under the collar. Part the hair, and you should see healthy skin, and smooth hair. If you can’t see skin, and the hair is bunched up, it’s a mat. You should be able to take your comb and completely comb through the hair, root to tip, over your dogs entire body. If your comb gets stuck, its a mat. Minor dematting can be done a number of ways, with different tools. If there are just a few small mats on your dog, this usually is not a problem, with the exception of dogs who have especially sensitive skin. A caring groomer can remove these gently, without causing pain or stress to your pet. This procedure takes time, skill, and patience. Added charges are standard for dematting at most groomers. Another option is to spot shave these mats. A skilled groomer may be able to hide these shaved areas with the surrounding hair dependant on coat type. If you dog has mats covering most of their body dematting is simply not an option. At this point your dog is likely in discomfort from all the matting. Mats can pull on sensitive skin under arms, legs and in their sanitary area. If you dog is suffering from skin problems or irritation due to allergies or burrs or debris in their coat the matting will make it impossible to see the skin to identify and relive symptoms. If mats are left for even a short period of time the skin can split and get infected. A matted dog in the rain or left with damp coat can develop fungus on their skin. Matted coats prevent air flow to your dogs skin interfering with their ability to stay cool or keep warm. Generally speaking, shaving a matted dog is more humane than dematting. Can you imagine brushing out Bob Marley’s hair? If its cold outside and your dog is sporting a Smoothie Style( short shave down ) you’ll want to put a jacket or coat on your dog before going outside. If it’s hot and sunny make sure your pooch has access to shade or invest in some doggie sunblock. Don’t feel sorry that they have a very short haircut, be happy they will be far more comfortable and much healthier. If you don’t really like the Smoothie Clip, G.I Joe, Strip, Shave Down style for your dog speak to your groomer about how to avoid this trim in the future. Investing in the right brush and spending some time making sure Fido’s coat brushed and tangle free is a great start. Long, Straight Haired Breeds (Shih-Tzu, Lhasa, Wheaten, OES) 30 to 60 min/day. Curly Coats (Poodles, Bichon, Kerry Blue) 30 to 45 min 3X per week. Long Hair Double Coats (Collie, Samoyed, Chow, Newfie) 1 hour 2X per week. Flat Coats (Setters, Cocker Spaniels) 30 to 60 min 2-3X per week. If this brushing schedule seems to much for you but you want to maintain a longer style for your pet speak to your groomer about a maintenance program for Fido. A bath, brush and blow out in between grooms may keep the Shave Down a style of the past. 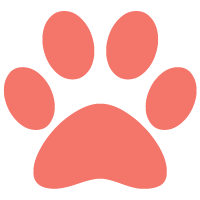 Please feel free to contact Head To Tail Pet Spa for any questions you may have or if you want us to assess your dogs coat and get you onto a maintenance program that works for you and your dog.